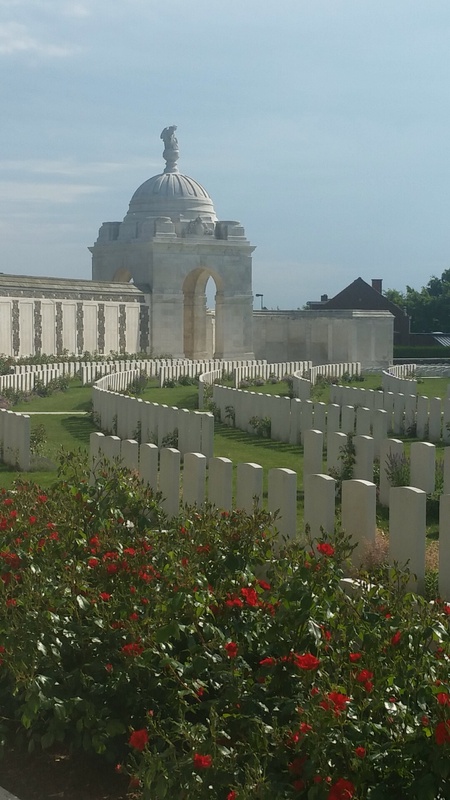 During our first stop at the Lijssenthoek cemetery I found myself walking the rows, moved to tears at the amazing expanse of manicured green grass and tombstones staring back at me. Seeing the ages of the young men flash by me tombstone after tombstone, I couldn’t help but imagine what it would have been like for them. Some of them were even my age and younger. The magnitude of having to go off to war to serve their country—let alone the grief experienced by those they left behind at home, followed me. Some of us on this trip have often marveled at the amount of cemeteries here, with sometimes upwards of two to three in a small village. After seeing so many, there is a tendency to gloss over the enormity of what they represent and conceptualize the importance of these losses.